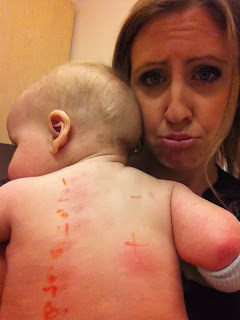 Our sweet little Grant has had such terrible skin ever since he was born, and our pediatrician for a couple of months has been suggesting we take him to see an allergist in hopes to nail down a way to help him become more comfortable. So, we did...and here's what we found out. He's allergic to everything good. ;) haha! Teasing, but kind of not. He's allergic to wheat, soy, peanuts, milk, eggs, oats, and corn. hmmm...that's a LOT of things. So, avoidance was what the allergist suggested so I haven't eaten ANY of these things since that day. We're going on almost 6 weeks now. Yes, I'm hungry but you'd do it for your child, too! I have no doubt. :) At first, his skin cleared up instantly. We were so excited!! He seems to be having breakouts again now, though, so we're wondering if it's something besides just these food allergies that is causing his skin to become so irritated. Luckily right now these allergies are causing his skin to be raw and even bleeding much of the time, but it's not anything life threatening. So that's good...and there's a chance he could out-grow many of these allergies before he's three, so that's what we're praying. ;) We have another appointment coming up to see if the allergist has any other suggestions and just as a follow-up....so we shall see. Little man keeps us on our toes, but we just want him to be comfortable. Even amidst his worst breakouts, he's got the sweetest disposition and happy spirit. SO thankful for him. ;) We love you, little Grant Michael. 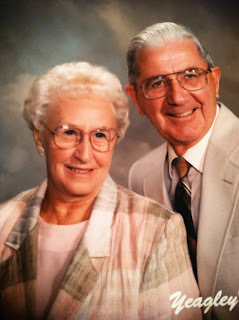 Both of my sweet Grandparents went to be with Jesus in the last few months. In June, Granny began declining quickly and went to be with Jesus. It was only a few months later that Grandpa joined her. I was so thankful that I got to be able to go back to Granny's funeral. I was always very close to granny and grandpa. We grew up close to them and were always having overnights at their house, swimming at their house all summer, going to movies & shopping with them, going out for ice cream with them. My Granny had quite the feisty personality. She was never scared to say what she really felt, to a fault sometimes. ;) She would do anything for her kids and grandkids. Especially her favorites. ;) lol! Grandpa was the biggest Cubs fun who could fall asleep in any loud, obnoxious setting. He was so go with the flow and laid back. He always was so kind and did whatever Granny asked of him. Even if he knew her demands were a little much he giggled as he complied. ;) He LOVED telling us grandkids his stories from WW2 and his days as a pilot, and we loved listening. The hardest part of Granny's passing was seeing Grandpa's broken heart. Sure, it was sad to see Granny go, but we could cling to the peace of knowing she's in a far better place next to Jesus!! Grandpa wasn't talking anymore at the time, but when he'd see family he'd just bawl and bawl. It was the hardest thing to watch. When we got to the funeral home for Granny's service, we had to take Grandpa in to see her in her casket before the visitation began. I won't ever forget seeing him reach into her casket to hold her cold hand, as he sobbed and sobbed. It's making me cry re-living it right now. 60 years of marriage, life, and love together...I can't even imagine that ending when losing your spouse. It was heartbreaking. I prayed for his sake, it wouldn't be long before he could see her again in heaven...because deep down we all knew that's what he really wanted. He got to be with her only a few months later. A blessing from Jesus. We miss them, here, however. I am so thankful for them and the irreplaceable role they had in my life. I am so lucky to have had them both for such a huge part of my life, and I feel blessed to have had them for as long as I did. They even got to meet and spend time with Mason and Cash and we love that, and are so so thankful for that. We miss you, Granny and Grandpa. Our lives are forever better because of the both of you. We love you!! Well my sweet Mom handed down the piano I grew up playing and we decided to give it a little face-lift. :) It was quite the project in the heat of the summer...but I got this paint you just slab onto any surface and it adheres with no sanding. So...it was the first time I've ever really painted anything...but it was a fun undertaking. I'm SO excited to polish up my piano playing skills, have I sat down and played it yet? not really...but I want to! One day... ;) we have a lot of kids and life is so busy...but one day...it's ready & waiting. Brent has learned all of the chords....and maybe I'll start teaching the kids, too. haha! I love having it, though. Here's how it turned out. It's inside! Marli tinkering around on it. This summer we had the chance to have some special time with our nieces and nephews. Even including a few overnights. I am so thankful to live close to our siblings, and am so thankful that our kids are growing up together. Having had this with a few of my cousins as kids...it makes my heart so happy our kids are getting that. The cousins I grew up with are like siblings to me, today! 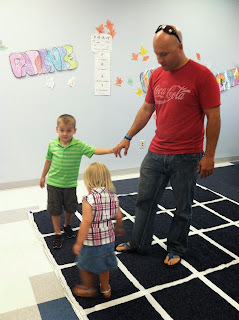 Here are some pictures from our time with sweet cousins! The kids sure loved having Mia chase them all over, the boys were amazed at her crawling as they're so used to seeing Grant lay around...haha! Oliver...he's so itty bitty here...awwh!! I took this picture in the dark and clearly didn't capture everyone! This was from when Cael and Ry came to stay all night...the kids are all getting so big. They loved all falling asleep together in the playroom. Love! Oliver and Grant in their striped jailbird jammies. :) love this! BOO! hehe. Just teasing. I know school is very important and I do love seeing our kids be challenged and learn. Don't get me wrong. I just hate alarm setting, and rigid schedules. 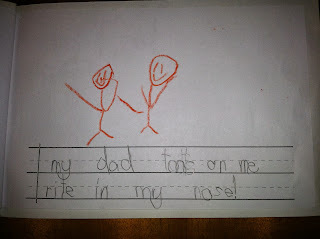 Such is life with children in school...so I might as well start to see the bright side. So we really enjoyed getting school supplies and getting all ready to go this year. Mason is now in the FIRST grade and little Cash is in pre-school. Mason's teacher is Mrs. Grochocki (which is a sweet friend of ours from church) and Cash's teachers are dear friends of ours as well (Miss Heidi and Miss Nikki). The year is off to a great start...fall break is in just a couple of weeks and we're excited for that! haha!!! Mason has been really challenged in the Traditional Academy @ Scott Libby this year and is really enjoyed it and is learning so much!! Cash is at Greatleaps Preschool and is learning so much and being a great student. Brent and I celebrated our ninth anniversary this past August. It seems so crazy to think about that...we've been together 13 years counting the years we dated first. ;) Looking back it sure doesn't feel like it's been that long!! When we think about all that has happened in that time, that makes it seem a little more realistic, that it has been quite a while! I have loved every minute of my life with this man. My heart could burst just thinking about how happy Brent makes me. I crack up daily...as do our kids because of Brent's fun-loving personality. I learn daily, how to manage money better, live within a budget better, and be a better steward of what God's blessed us with. (those were a few things I missed learning about as a young adult in my pre-Brent era) & I see an incredible example of a man of God who leads our home spiritually. I am so thankful for that. I feel loved daily...strong hugs, sweet words & gestures...I feel like the luckiest girl in the world to be married to this man. God sure blessed me when he brought him in to my life...and I sure adore & love his family, too. Happy nine years, Brently. :) I love you! Our sweet friends Ryan and Adrienne invited us to join them camping in Oak Creek Canyon and we had the best time!!! It was so nice to have a break from the heat & to be in cooler weather. It was also adorable to see the kids just eat nature up. They were loving exploring, adventuring off together, swimming in the river, hiking, etc. It's so special to have friends where everyone loves to be together...adults & kids. We love the Nunez family! Here are some photos from this little trip! hehe...Marli thinking about getting in the water. Cash was sure in his element on this trip! some fun days @ the Science Center! ...and swimming of course! Many days spent swimming! Well, I've been promising some updates on this blog for many of those who've so kindly asked about mom's progress in her disease. So I'll try and fill everyone all in best in can...through words. Several years ago mom got diagnosed with what is called, "frontal lobe dementia". It's been very sad to see her decline so quickly in this disease. My last memory of my mom showing any sort of emotion about her condition was when I was pregnant with Marli and I had taken mom with me to my ultrasound appointment. I had asked her several questions about if she realized how things were going, and she just began to cry. She explained to me that she often felt trapped in her own body when she wanted to say certain things but the words just wouldn't come out. She expressed frustration and a genuine sadness that she knew there wasn't anything she could do about it and she also vocalized concern that it's just going to get worse and how that made her sad. It has sure progressed rapidly. :( I won't ever forget that moment with my mom in the car in our driveway before leaving to go to this appointment and how we just cried. How thankful I am for these specific memories of her emotions and so glad she was able to spend that day with me. I have not seen her show any emotion about her mental state since that day...even when I ask her about how things are going every single time I see her. I ask her specific questions about her mind, words, etc. and I get no response regarding how she feels about it all. Mom and I have spent much time together since this time, and we still see each other weekly, but things are very, very different. Mom doesn't have the capability to do anything for herself anymore. She can't get dressed, follow simple instructions, use the bathroom, or buckle her seatbelt just to name a few. She doesn't know hardly any of our names anymore. In fact, I was very surprised to hear her say "Jessica" while speaking on the phone with my brother Jason a couple of weeks ago. That's the first time in years I can remember her even saying my name. She doesn't know any of our kids names, and often times even doesn't know who dad is. She still seems happy and content...just extremely quiet. Having a conversation is very difficult. She will answer you but typically with a "oh yes..." followed by a giggle. Mom stayed with us for a few days a couple of weeks ago, and it was interesting...when the kids would ask me for things by addressing me as "mommy" My mom would always respond as if they were talking to her. :) They'd often try to get her attention by addressing her as "Mimi" and she never responded to that. I found that interesting but it makes sense, she's been a mom much longer than a "mimi". It was astounding to me, how difficult of a time she had doing anything at all, and how she couldn't follow the most simple instruction. I, however, was honored to be able to take care of her even just for a few days. After all, she raised me and gave me all of herself for so many years. We laughed (even though I'm not sure she ever really knew what we were laughing at) We read magazines while the kids slept (although after putting the kids in bed one day, I came down to read magazines with her and couldn't find the ones I set on the couch next to her...she had hid them under the couch) haha...maybe that was her way of saying she didn't care to read them. ;) We enjoyed time together...but it did make me miss how things used to be. The worse she gets, the farther away the memories of her healthy are in my mind. I'm scared I'm eventually going to forget how she really used to be...and I don't want to forget. I want to be able to remember those characteristics of hers that I've always loved and admired...that just is feeling more and more distant. Here's a picture from Mother's Day when I convinced mom to let me do her hi-lights and make-up. 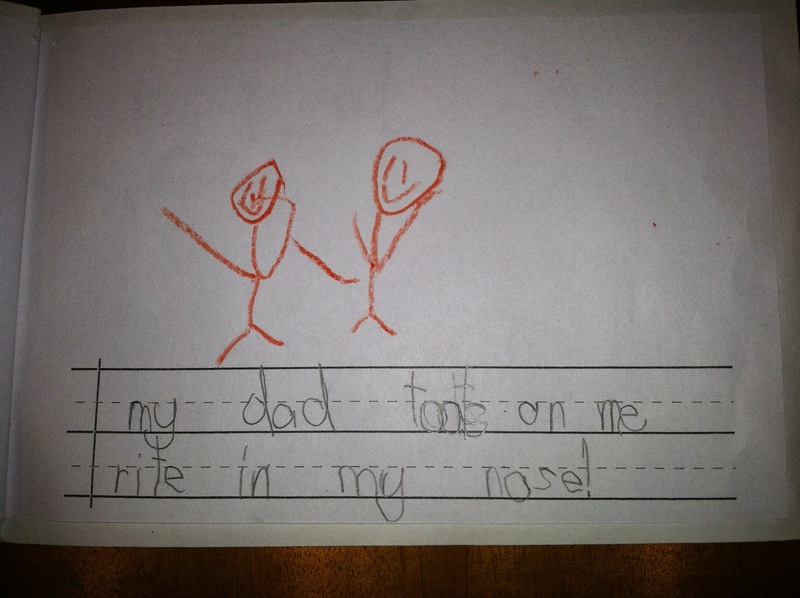 Congrats on your first year of school, Mason. We're so proud of you, buddy!!! SIX??!! really? This young man is starting to look and act so grown up!!! Time must slow down! We crammed one more fun thing into the same night as Grant's dedication and had Mason's party, as well!! Always time for a good party. 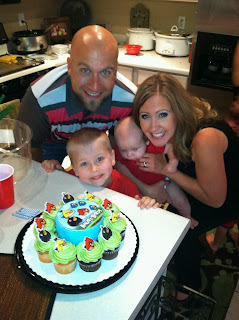 :) We celebrated our eldest's birthday with our sweet family and had a great night!!! Here are some pictures from Mason's birthday. SIXTH birthday...ahhhh! big boy!!! We love you, Mason Isaac!!! Happy Birthday, Mason Isaac! Your mommy and daddy love you to the moon and the sun, AND back...many many times over! Well Mother's Day weekend was quite the celebration! We also had the chance to had baby Grant dedicated at church this weekend. What a special time this always is. An honor to promise to raise our son in the way God intends for us to. Also such a humbling reminder that God's given us this gift in our son, and how blessed we are to be his parents. Pastor Greg was able to dedicate each one of our four children, and we are so thankful for that. Such a dear friend of ours he is....we're very thankful for him and the influence he has in not only our lives, but our children's as well. 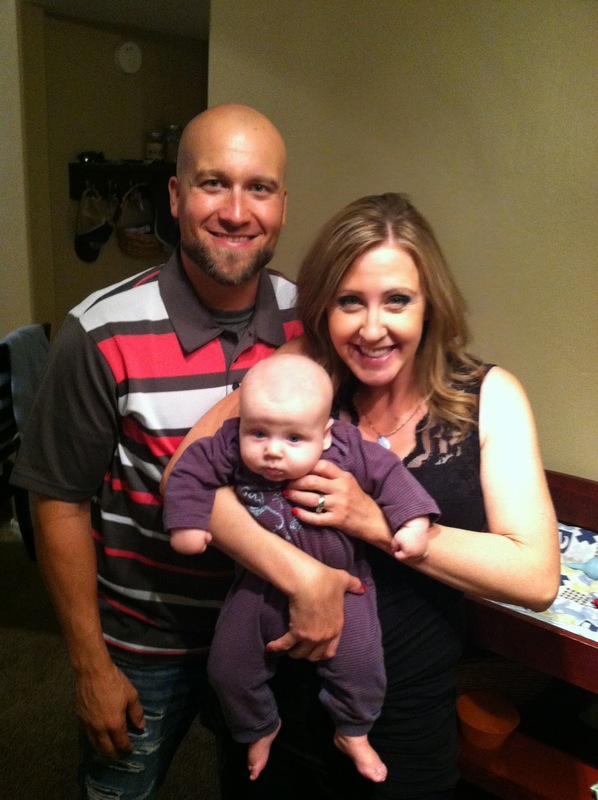 Here are some pictures from Grant's dedication evening. 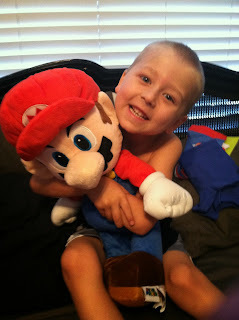 We love you, Grant Michael!!! one more, just for fun. :) such a great night.